Are you looking for the most fully-featured V-Plow BOSS Snowplow has ever created? Look no more! THE BOSS POWER-V DXT fulfills your greatest expectations. Why is the DXT unique? It differs from other V-PLOWS with its dual-trip design, which unites both trip edge and full-moldboard trip features to deliver enhanced plow protection: important when striking a hidden obstacle in any position: vee, scoop or straight. Flared wings with enhanced curl are a prominent feature, and throw snow with the highest efficiency. 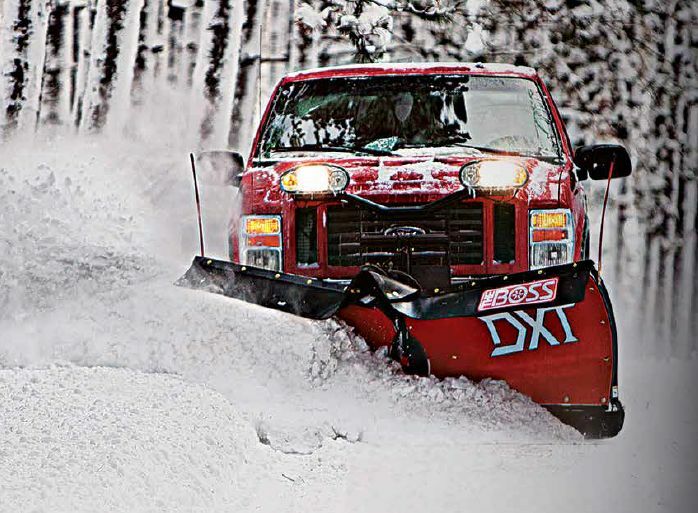 The tough dual-trip design offers superior snow plow protection when striking hidden obstacles like manhole covers and icy banks.